The Best Bounce House Rentals Denver Has To Offer! For the best bounce house rentals Denver has to offer, look no further than Dizzy Party Rental. When it comes to making sure your next party or event goes off without a hitch, leave it to the professionals. 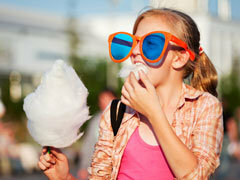 We offer several different bounce houses, combo bouncers, water slide rentals, carnival games and a whole lot more. All of our bounce house units are cleaned and sanitized before every rental, and are manufactured from "lead-free" vinyl for your child's and guest's safety. What type of bounce houses do you offer? When it comes to renting a bounce house in Denver or the surrounding areas, you have lots of options. Here at Dizzy Party Rental, we go above and beyond to make sure to provide our customers with the price, quality and selection they deserve. Whether you're having a backyard birthday party, a school field day or a church picnic, bouncers are a great way to keep the kids (and adults alike) entertained for hours. 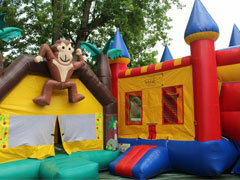 We have several bounce houses like our tropical themed unit, our Shrek bouncer and many others. We also have a great selection of combo bouncers as well. These are perfect when you're having trouble deciding between a regular jumper and an inflatable water slide. These fun inflatable rentals will bring lots of smiles and joy to everyone at your next party or event. 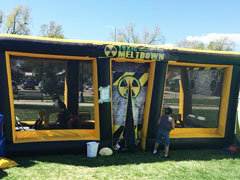 Check out our other fun inflatable rentals in Denver, CO! 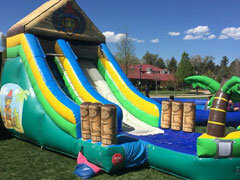 If bounce houses and combo bouncers arent' what you're looking for, we have lots of other fun inflatables for rent in Denver, CO. Our water slide rentals area a great way to beat the summer heat. 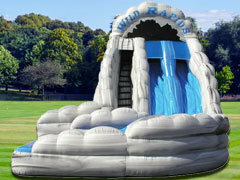 Turn your backyard into a real deal water park with our 18' Wild River Double Lane Water Slide. 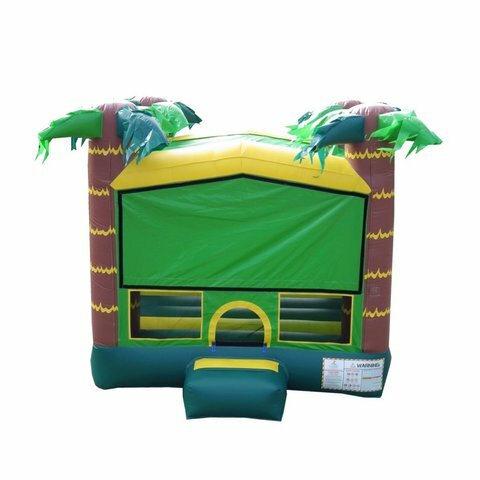 Transform your party into an island paradise with our inflatable Tiki slide. Featuring beautiful palm trees, the guests at your party will feel like they've been transported to a Hawaiian island. 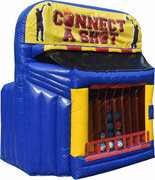 We also have a great selection of inflatable interactive games., including our Connect A Shot Basketball, our Wrecking Ball and many others. 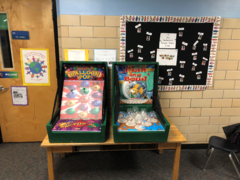 Check out our awesome interactive games! 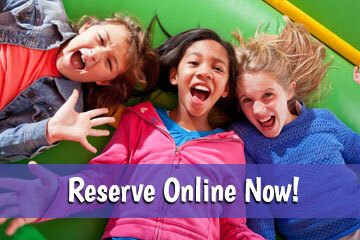 Click below to book the best bouncy house rentals in Denver and the surrounding areas.